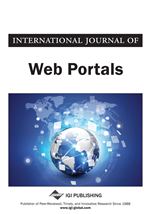 Recently, sustainability of virtual organizations has been receiving increasing attention in the literature. Most of suggested sustainability pieces have been theoretical in nature or based on case studies. The essence of such articles is: build it, and they will come. However, as the authors have discovered in their experience with a virtual organization called GlobalHUB, putting all of the suggested building blocks into place does not necessarily lead, by itself, to sustainability of a virtual organization. The authors argue that sustainability has many complex and dynamic dimensions that need to be addressed in existing models of sustainability for virtual organizations. In this paper the auhtors provide our key learnings in the process of building GlobalHUB as a sustainable online community. In this age of global interconnectedness it is important for engineers to be able to work effectively across cultures and geographic boundaries (Continental AG, 2006; Downey, 2006). One of the criteria that accredited engineering education programs in the U.S. must meet is that graduates should be able to “understand engineering solutions in a global…context” (ABET, 2008). In 2007, a non-profit virtual organization called GlobalHUB was founded with funding from the National Science Foundation (NSF) to facilitate global engineering education by providing a virtual collaborative platform. GlobalHUB was built using HUBzero™ (www.nanoHUB.org), the first website to use the HUBzero™ platform. The mission of GlobalHUB is to provide an online platform for “a cyber-community of scholars, practitioners, and students that advances global engineering education, eliminates barriers for students seeking a global education, and helps prepare a workforce of globally competent engineers” (Ouzzani, et al., 2008). The three constituent populations of students, faculty members, and practitioners are intended to use GlobalHUB in the following ways: (1) Students use GlobalHUB to collaborate with overseas (and local) counterparts, accessing both technical and collaborative resources such as language supports, social and cultural expectations, and country-specific information; (2) faculty members researching global engineering education can evaluate student interactions by using GlobalHUB as a virtual “cultural interaction” lab, while also examining program assessment issues and student achievement of learning outcomes; and (3) global engineering practitioners from industry and academia can design and deliver global engineering program resources, ranging from global case studies to global engineering internship opportunities. GlobalHUB was created to be a user-driven, interactive community designed to encourage contribution of content by users. While much of the content on GlobalHUB is accessible to all visitors, membership is required to access restricted resources, join groups, and contribute content. Members can join or create groups thus providing a means for organizing and controlling access to content. Access to specific group content can be set as either public or restricted to only the group members. Each group on GlobalHUB has a wiki space which allows members to contribute content by creating and editing interlinked wiki pages using a simple syntax. These pages can have files attached to them and can point to other GlobalHUB resources using embedded macros. Members can also contribute content that is accessible to non-members such as animations, course materials, presentations, and publications. GlobalHUB offers a number of tools to its members including private workspaces and several free CAD tools. A workspace is a Linux desktop that runs in a user’s browser. Workspaces provide access to the Network for Computational Nanotechnology’s (NCN) Rappture toolkit (www.nanohub.org/infrastructure/rappture/), along with computational resources available on the NCN, Open Science Grid, and TeraGrid networks. Users can use these resources to do research or develop new tools to be hosted on GlobalHUB. Between September 2011 and today (April 2014), GlobalHUB, receives on average over 9,000 visits a month (the last observation in April 2014 was 9,981 visits) and has received visits from users in 173 countries and territories. A visit is defined, based on MIT OCW metric of visits, as an activity by a unique visitor (unique IP address) delimitated by a 30 minute absence from the site on either side of the activity. These visits correspond to unique visitors and do not include known web bots/crawlers. The number of users accessing the site in a single month has reached a high of 3,451 in January 2010, and as of April 2013 is averaging about 2,200 users, where the last observation was recorded in April 2014 at 2,367 users. Figure 1 gives the number of monthly users since the inception of GlobalHUB; different periods are labeled with events that could have led to surges or declines according to the authors’ observations. Although many parts of GlobalHUB can be accessed without becoming a member, membership is free and is required for contribution of content, for use of workspaces and tools, and to form and join groups. There are currently (April. 2014) more than 5,000 registered users. Monthly number of users since the inception of GlobalHUB: Users are defined as the sum of registered users that logged in; unregistered interactive users, identified by unique hosts/IPs, that had an active session (at least 15mns); and unregistered download users, identified by unique hosts/IPs, that downloaded a non-interactive resource such as PDF or podcast. Does not include web bots/crawlers. GlobalHUB has faced the challenge of growing into a dynamic and persistent virtual community that has an impact on the education of engineering students. It has faced the specific challenges of attracting users, content, and funding. While building the organization, GlobalHUB’s developers turned to several literature sources in an attempt to find a suitable model to guide them as they sought to define and build a sustainable organization. This paper presents the sustainability models considered by the authors and the actions they took to grow GlobalHUB into a sustainable online community.